De-cluttering your property clears your physical environment by creating more space in the house as well as a better flow. It also clears your mental space. The globally successful Japanese KonMari Method™ of de-cluttering places the importance of de-cluttering as a state of mind, or a way of life, and encourages cherishing the things that spark the joy in your life; if they do not spark the joy, belongings are let go of. People around the world are drawn to this philosophy not only due to its effectiveness, but also because it places great importance on being mindful, introspective and optimistic. Some people say de-cluttering has changed their lives. We undertake a de-cluttering exercise even when we are buying items for ourselves or our home – if we don’t love it, we don’t buy it, even as a short-term measure. De-cluttering is especially important if you are selling your property, in which case you need to distance yourself from your home and look at it objectively, through a potential buyer’s eyes, evaluating every aspect of each room in your house. This can be quite a challenge when you are surrounded by all your personal artefacts as it is difficult to choose what to keep, what to display and what to remove or let go of. So, begin de-cluttering well in advance of marketing your property because this is likely to take longer than expected. Review what belongings you have and get rid of all the excess items that have accumulated over time. Sort through clothes, shoes, makeup drawers, handbags, newspapers, books, magazines, CDs or DVDs. Remove all collectables and memorabilia including family photographs, ornaments, oversized or polarising items, children toys, garden ornaments, pets’ belongings and other possessions inside and outside the property – this means removing anything which may distract potential buyers. 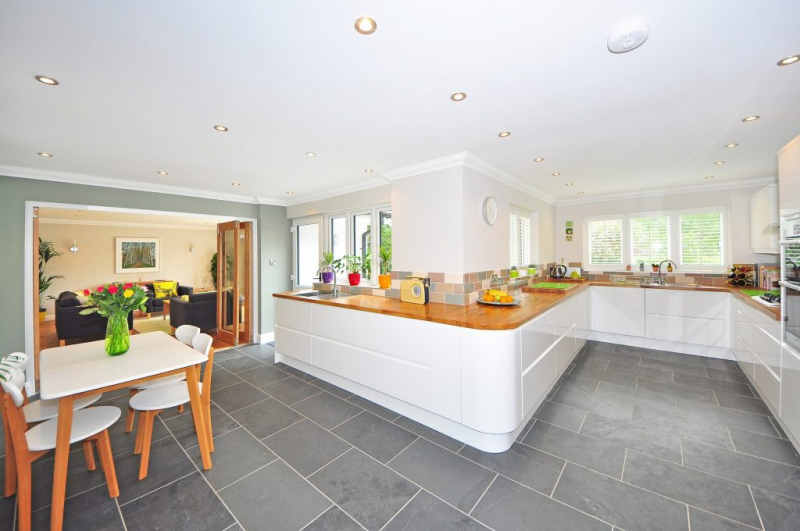 To maximise the use of space, keep in mind that less is more when presenting a property. Too much furniture, or very large pieces, can have a polarising effect as well as make a room look small. Too many pictures or bookcases spilling over with books and collectables can also make a room look enclosed. Remove any bulky furniture that makes a room feel small (look to store this off-site if necessary) and replace with smaller, coordinated pieces (only if necessary). This will make any property look lighter and brighter. Dated homes, however large, can be off-putting, especially to affluent young families seeking lifestyle appeal. If you want to sell at a premium to this audience, consider storing larger items and renting a few contemporary pieces to stage your property and instantly transform the look and feel of your home. Potential buyers are often buying into a lifestyle as much as a property and they need to be able to imagine what the property would look like if they were living there, so make it easy for them to see all the spaces available. The right presentation, along with small stylistic changes, can quickly highlight the positive aspects of a property and minimise the negatives. It’s a great feeling of lightness when you have off-loaded belongings you no longer need, and it will motivate you to do further de-cluttering. It also leads to rediscovery of items that you love and have forgotten about. Be careful not to remove all traces of your home’s character as this is what made you fall in love with your home when you originally bought it. Potential buyers could be looking for this as well. For any belongings you don’t need or use, pass these on to your family and friends, or donate them to charities, so that other people can have use of these items in a more meaningful way. Alternatively, auction these items or sell them on eBay, Gumtree or via other online portals and earn yourself some income! For more information and useful tips for de-cluttering your property, read our book – The Property Handbook.